Post also used to fight against fire. 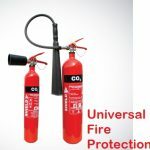 Universal Fire Protection Company pvt ltdOur Company is one of the well-known fire fighting company in Pakistan which provide repairing and maintenance of Fire Alarm System, Fire extinguishers, Hose Reels and Hose Boxes, sirens for alarming fixed automatic extinguishing system and refilling of all types of fire extinguisher. About 15000 deaths in fires. Cost of damage 70 billion US dollars. 67% of fire deaths are caused by smoke in inhalation. In spite of all these above mentioned facts we tried to give best services to our respectable clients at comparative rates which may be slightly costly as compare to other companies. Our Main ServicesOur Company also provide for repairing and maintenance of Fire Alarm System, Fire extinguishers, Hose Reels and Hose Boxes, sirens for alarming fixed automatic extinguishing system and refilling of all types of fire extinguisher. 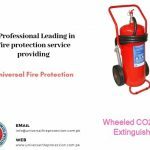 We also provide Fire Fighting Equipment in Pakistan different cities i.e Islamabad, Rawalpindi, Lahore, Peshawar, Multan, Gwadar, Sialkot Karachi etc. You can also ask prices of fire extinguisher through visit our Rawalpindi, Lahore or Karachi offices. However, you can also ask via email or Live chat.